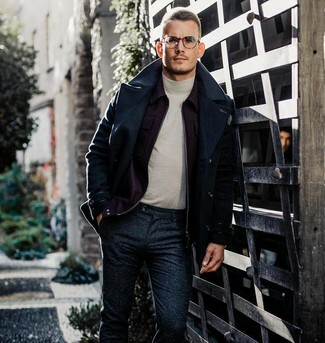 If you're hunting for a casual yet on-trend look, reach for a Label Under Construction Roll Neck Jumper and beige corduroy jeans. Both garments are super comfortable and will look great paired together. Why not add grey suede athletic shoes to the equation for a more relaxed feel? 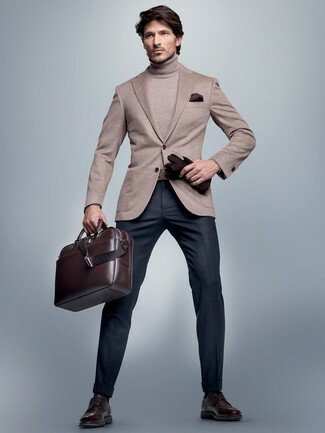 Opt for a Label Under Construction Roll Neck Jumper and charcoal wool dress pants for a sharp, fashionable look. 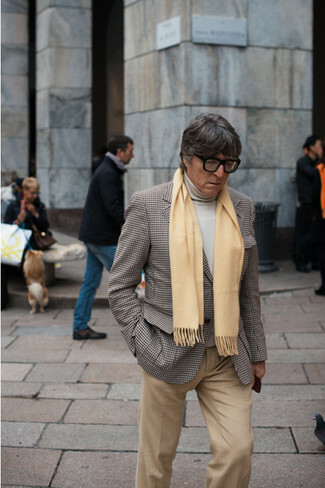 To break out of the mold a little, choose a pair of yellow low top sneakers. 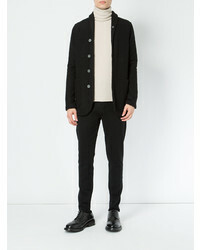 Try pairing a Label Under Construction Roll Neck Jumper with navy dress pants to ooze class and sophistication. 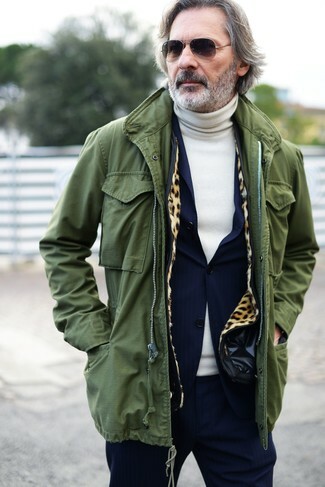 Throw in a pair of dark brown leather brogues to make the getup more current. 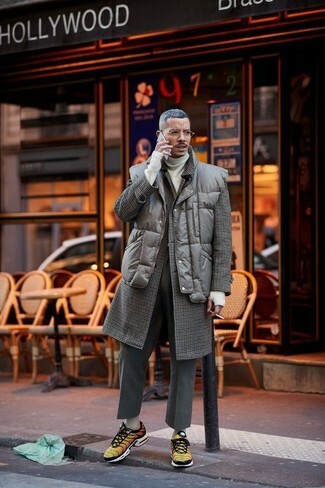 If you're in search of a casual yet sharp ensemble, dress in a Label Under Construction beige turtleneck and an olive fishtail parka. Both items are super comfy and they will also look fabulous paired together. 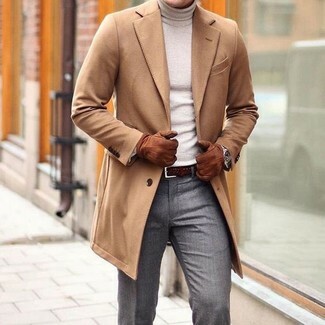 For a nothing less than incredibly stylish ensemble, try pairing a Label Under Construction beige turtleneck with a beige wool suit. 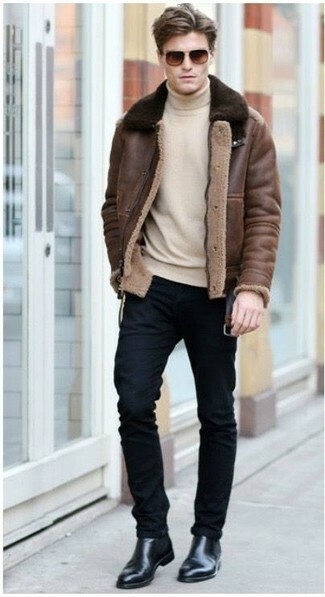 For something more on the daring side to round off this getup, opt for a pair of burgundy leather loafers. 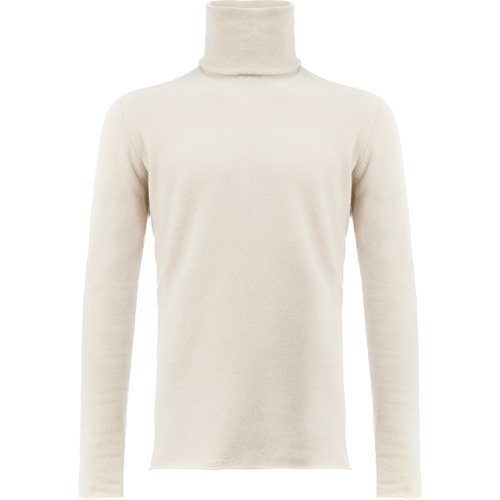 If you're after a casual yet seriously stylish outfit, consider teaming a beige turtleneck with khaki chinos. These garments are totally comfy and they will also look incredible when worn together. 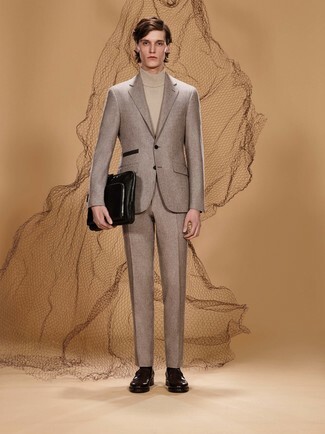 Pairing a Label Under Construction beige turtleneck with navy wool dress pants is a good pick for a sharp and sophisticated ensemble. 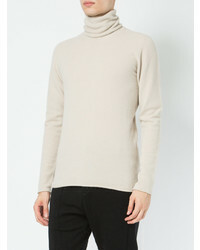 If you're after a casual yet stylish getup, opt for a Label Under Construction beige turtleneck and black skinny jeans. As well as totally comfortable, these two items look great when worn together. Kick up the cool of your look by complementing it with black leather chelsea boots. 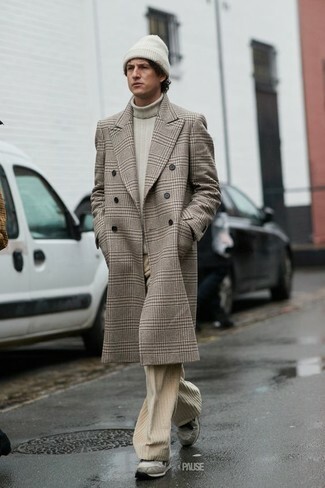 For a nothing less than incredibly stylish outfit, wear a beige turtleneck and grey dress pants.